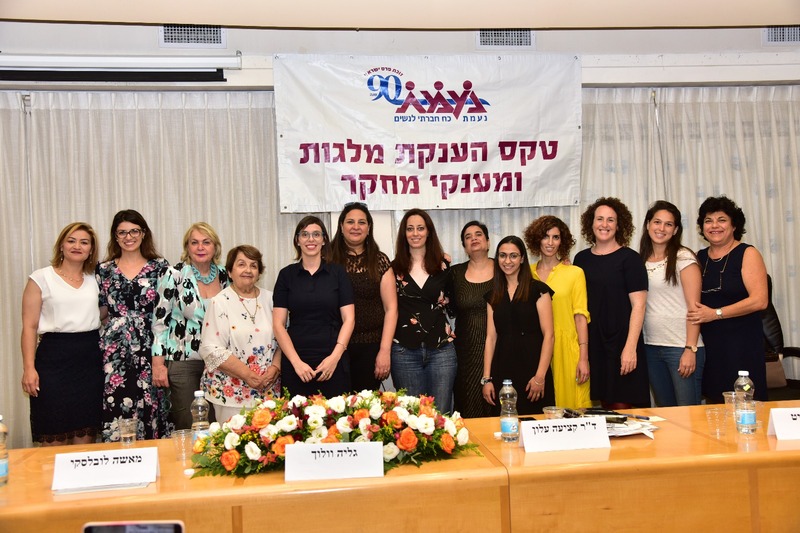 Each year, NA’AMAT awards financial assistance to about 200 academically gifted Israeli women enabling them to follow their dreams and pursue bachelor’s and master’s degrees in challenging programs of study. The criteria for selection ensures that qualifying women from all of Israel’s social circles are fairly represented. Many of the best and brightest of Israel’s most talented young women come from homes which lack the financial resources enabling them to continue their studies at the university level. Many have demonstrated special aptitude in fields traditionally occupied by men – engineering, medical and scientific research. 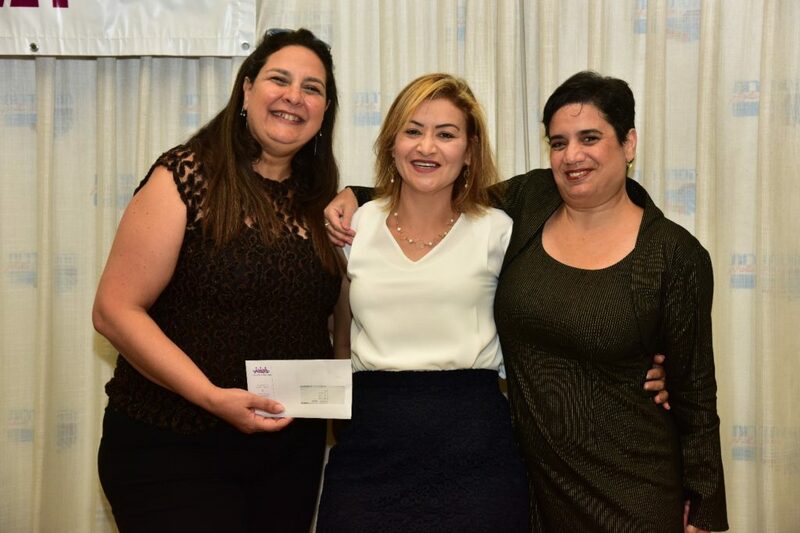 By offering scholarship support, NA’AMAT ensures that these women of merit can develop the skills and education they need to realize their dreams and make their contribution to Israeli society. In special cases, NA’AMAT awards research grants to exceptional scholars pursuing doctoral degrees in the fields of women’s status and gender studies. In special cases, NA’AMAT awards research grants for exceptional scholars pursuing doctoral degrees. These grants help women pursue their PhDs in the fields of women’s status and gender studies, science and engineering. There is an annual Scholarship Ceremony where all of the scholarships are presented to the recipients with the participation of the President NA’AMAT Israel, the President NA’AMAT Scholarship Fund and various heads of Committees. The following stories are excerpts from the research papers of the Ph.D grant recipients. Excerpts from this year’s scholar recipients. This research seeks to explore how the Israeli media tells the story of prostitution between the years 2007 and 2017. a critical point of view on prostitution requires us to look at the social context of gender inequality. In this study, I examine how the Israeli media chooses to tell the story of prostitution, a phenomenon that is marginalized and considered a social taboo, while emphasizing the manipulative element inherent in the creation of a narrative that influences the perception of prostitution by the public, government and women in general. Women in prostitution are transparent to society and the state. The importance and uniqueness of this study stems from the desire to remove the transparency of these women in Israeli media, the public and political discourse. I believe that in order to promote women and gender equality we should first address the most disadvantaged women among us; women in prostitution. This study aims to serve as a means to enrich the social struggle of women’s rights everywhere and to eradicate the phenomenon of prostitution by changing and improving the media coverage. I thank you for the contribution of this scholarship, which is a tailwind for the struggle against prostitution and in favor of women’s basic rights to dignity and equality. Your generous scholarship will allow me to focus on my PhD research under the topic: “Design and synthesis of novel targeted chemical chaperones as a basis for Amyotrophic Lateral Sclerosis (ALS) treatment”. Amyotrophic Lateral Sclerosis (ALS) is a fatal neurodegenerative disease characterized by the selective degeneration of motor neurons in the brain and spinal cord, which leads to progressive paralysis and death. Recent studies provide compelling evidence that aggregates of mutated or misfolded proteins underlie both types of ALS. Chemical chaperones have been shown to reverse the aggregation of proteins associated with many human diseases. However, using chemical chaperones as drugs is limited by the very high active concentrations required for their efficacy. We propose to overcome this obstacle by coupling known chemical chaperones to organelle-targeted moieties and to increase their concentrations at specific sites, such as lysosomes, ER, Golgi, and mitochondria. Refolding by chemical chaperones has enabled proteolytic enzymes and proteasome systems to cleave misfolded proteins properly. Based on this observation, we hypothesize that refolding of Superoxide Dismutase 1 (SOD1) misfolded proteins by chemical chaperones will allow proteolytic enzymes and proteosome systems to cleave the refolded proteins and prevent SOD1 aggregates and cell death. In previous studies, we have synthesized several ester- and amide- based TMAO chemical chaperones. The leading compound, has displayed both neuronal and astrocyte-protective effects in vitro in a micromolar concentration range, and in daily doses of 10 mg/kg has dramatically improved the neurological functions and has delayed the body weight loss in ALS mice. Now, we have synthesized a series of novel compounds using FDA-approved chemical chaperone: phenylbutyric acid (PBA) with different intracellular targeting moieties and linkers. These new compounds might serve as drug candidates for ALS disease treatment. My research focuses on modulation of brain inflammation associated with Alzheimer’s disease by Angiotensin related drugs. Over the last four years of my research, weobserved that drugs prescribed nowadays in the clinic for hypertension have a great potential to serve as neuroprotective agents and to reduce brain inflammation features associated with Alzheimer’s disease. The subject of my PhD thesis is a combination of surface chemistry and the development of new semiconductor devices. One of the biggest challenges in the electronics industry is to precisely control the properties of surfaces and interfaces. In some cases the performance of an entire device will be determined by interface/surface effects. Chemical modification of the surface by organic materials is a versatile tool to influence the surface properties and in this way improve device performance. I have also been fortunate to be studying a family of 2-dimensional (one-atom thick) materials, relatively “new players” in the field of electronics. This family includes conductors and semiconductors that provide fascinating alternatives to the silicon that dominates today’s microelectronics. Our research in this field will hopefully keep Israel at the forefront of today’s science and technology. Your help is enabling me to be a part of this exciting effort. Hear from one of our 2018 scholarship recipients.